Usability and security are crucial requirements of efficient e-Government services and applications. Given security requirements are mostly met by integration of approved cryptographic methods such as two-factor authentication and qualified electronic signatures. Integration of these technologies into e-Government applications usually introduces additional complexity and often affects the usability of these solutions. 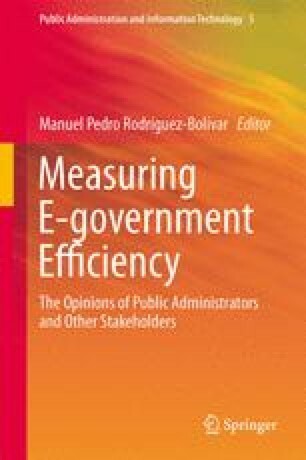 So far, research on usability as efficiency-measuring instrument in e-Government has primarily focused on the evaluation of e-Government Web sites only. Usability issues raised by the integration of security-enhancing technologies into e-Government applications have not been considered in detail yet. We filled this gap by conducting a usability analysis of three core components of the Austrian e-Government infrastructure to improve efficiency in this domain. The evaluated components act as middleware and facilitate integration of e-ID and e-Signature tokens such as smart cards and mobile phones into e-Government applications. We have assessed the usability and perceived security of these middleware components by means of a thinking-aloud test with 20 test users. This chapter introduces the evaluated components, discusses the followed methodology, and presents obtained results of the conducted usability test.